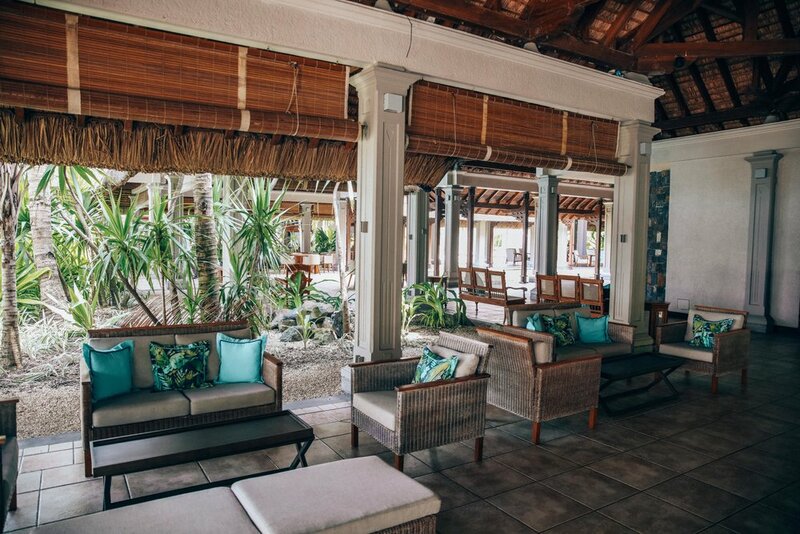 After leaving SALT, we ventured to the South-West coast of the island to Paradis Beachcomber resort, which is located on Le Morne Peninsula. This beautiful resort is set amongst an oasis of greenery, along the scenic shoreline of the island. 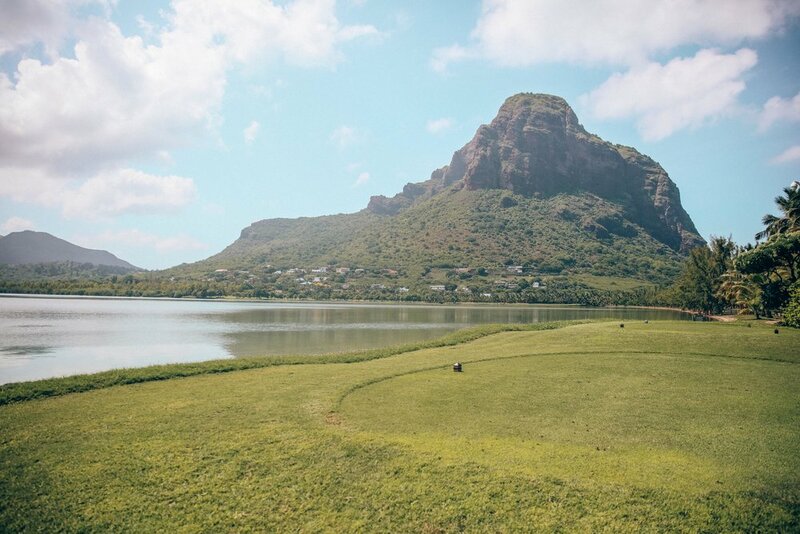 In the centre of the resort is a huge 18 hole championship golf course, which overlooks the iconic Le Morne mountain! I started playing golf in June last year, so was thrilled (also slightly terrified) to play on a course ‘abroad’ for the first time. There is so much going on at this resort, from the golf course, to water activities, endless stretches of beach, large pool, spa, kids club but also an onsite infirmary! I managed to stand on a weaver fish on the first day and the infirmary were amazing at bandaging my swollen toe. Isn’t there something really reassuring about having a doctor on site?! 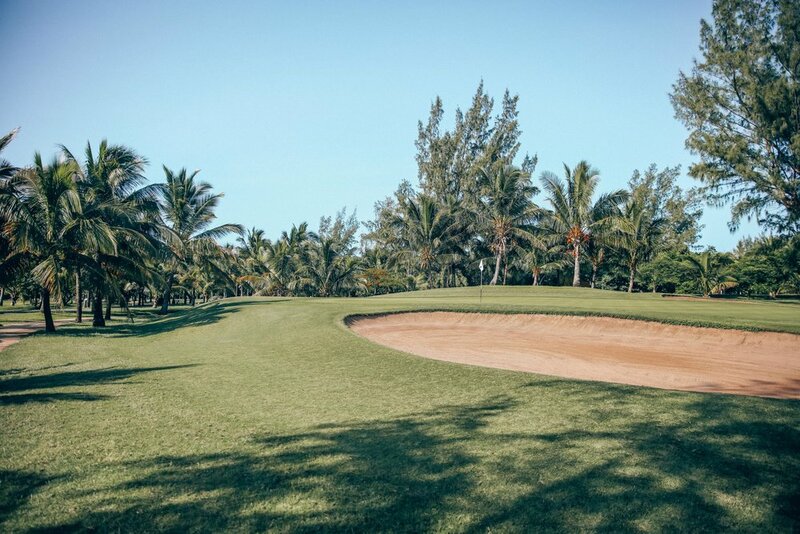 Paradis Beachcomber has a sister hotel called Dinarobin, which is a short golf buggy ride away - where all their amenities are also included in your stay. Beautiful Swimming pool with plenty of sun lounges! We had a lovely large Tropical Room which had a patio and ocean view. 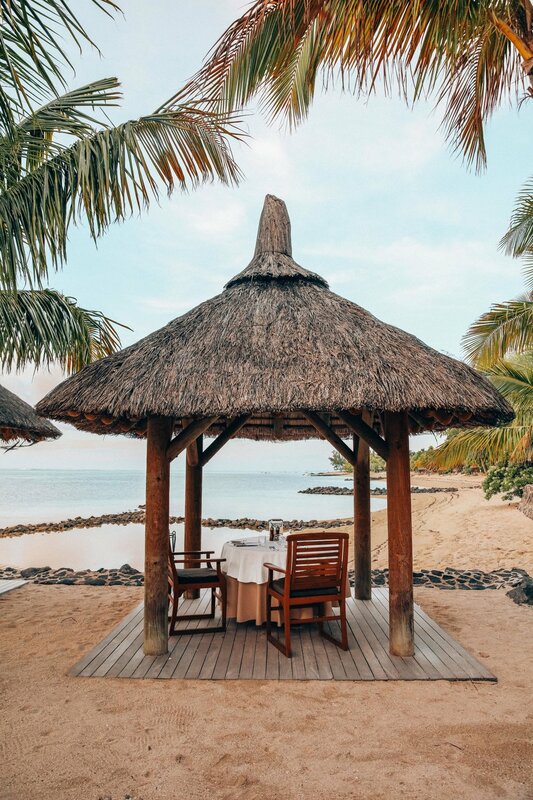 Paradis Beachcomber has four beautiful restaurants, Blue Marlin - specialises in fresh fish and seafood, La Palma - Italian cuisine, Le Brabant - lunch food by beach or pool and finally La Ravenne, where we went for dinner on our first night to enjoy the authentic food of Mauritius. We had an absolutely delicious meal in the most divine setting on the beach! It’s the perfect place to arrive early, have a cocktail whilst watching the sunset (which you get on the South-west side of the island) and then slowly move into dinner. Every morning at the resort, you are able to indulge yourself in a all-you-can-eat breakfast. Well that’s how I see buffets and as breakfast is my favourite meal of the day, this always excites me! Paradis Beachcomber has a golf academy and probably the most beautiful driving range I’ve ever seen! It’s enough to put you off your game. Well, maybe only for me! It was stiflingly hot and although we teed off at 8am, we only managed 9 holes. Yes, I can hear you saying wusses. Nonetheless, It was spectacular scenery and an immaculate golf course, an experience we will NEVER forget! I would highly recommend either Paradis Beachcomber or Dinarobin to anyone looking for both an activity or relaxed beach holiday - It’s the ultimate place to do both! Included in our stay, were snorkelling trips, kayaking, paddle boarding and a little pedal boat. Unfortunately, due to my giant toe scenario we couldn’t do any of these! Having started our time in Mauritius on the ‘Sunrise’ side of the island, it was wonderful to witness the magic of the Mauritian sunsets on our second week. I am an avid sunset-lover, so this quickly became my favourite side. Thank you Paradis Beachcomber for a wonderful stay, we really enjoyed ourselves! If you have any questions or if you’re visiting Mauritius and not sure where to go, don’t hesitate to email.